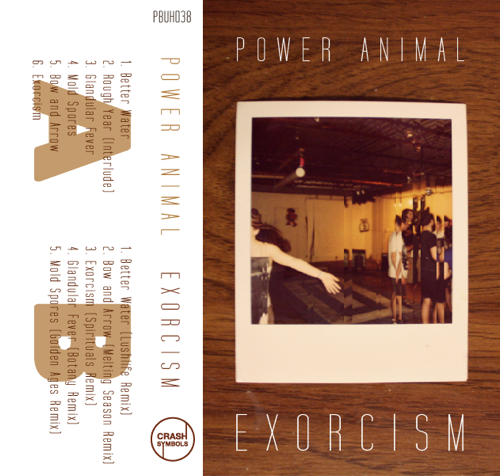 Very honored to debut the title track of Power Animal's forthcoming tape Exorcism here today, the project's sophomore effort almost two years after the first full-length People Songs on Waaga. The Philadelphia outfit, once started as the solo project of Keith Hampson but now grown into a full band, carries out a delightfully experimental kind of leftfield pop with "Exorcism", bright and upbeat yet with a considerable amount of reflective and subtly melancholic undertones, some folky hints and above all beautiful harmonizations. Exorcism will be co-released February 21 by Crash Symbols and the band's own label/charitable non-profit organization Human Kindness Overflowing. All of the profits from digital sales will be donated to Philabundance, a Philadelphia-based charity organization that provides food to the needy in the area.